Wer sich für die Darlegungen der bundesrepublikanischen Kanzlerin zum Jahreswechsel 2016/2017 interessiert, wird hier fündig. Corona dokumentiert im Gegenzug die Ansprachen von Monarchen, die sich nicht an Weihnachten an die Bevölkerung wandten, sondern am Tag des heiligen Silvester. Wir verzichten auf eine deutsche Übersetzung und hoffen, unseren Freunden und Lesern dennoch einen Einblick in die Überlegungen der gekrönten Häupter zu geben. 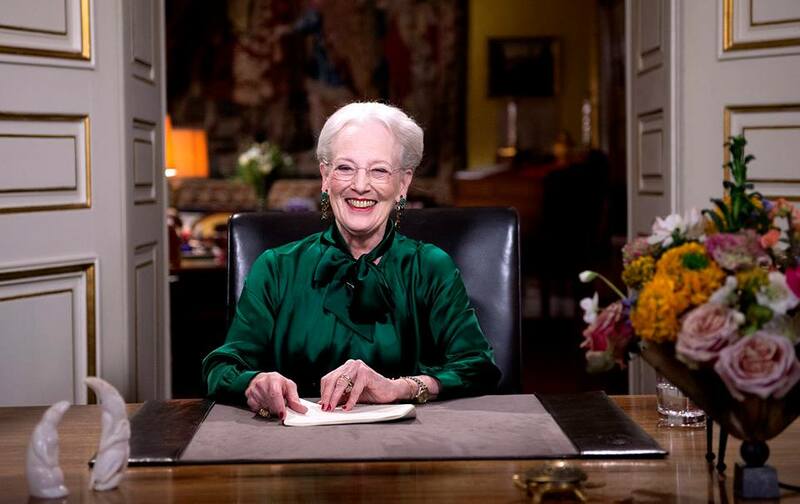 Königin Margrethe II. von Dänemark bei ihrer live gehaltenen Neujahrsansprache (inklusive Husten und am Wasserglas nippend). Right now only a few hours remain of the old year, 2016. Very soon we will write 2017 – a new year with new opportunities, but also with the tasks and problems we did not manage to complete or solve in the old year. Writing 2017 instead of 2016 will not make our concerns disappear. During the past year, we have witnessed terrorist attacks that have filled us with fear and horror. But we have learnt that we must not allow ourselves to be paralysed by fear. Life must go on. We must persevere and not lose heart. There is good reason here to say thank you to all those who make an effort to ensure our safety and security. They have assumed a responsibility which they, naturally, are under an obligation to undertake, but which they carry out with commitment and care. They are always prepared, and they contribute to ensuring that we can maintain the joy of life. For we will not abandon the joy of life. War and poverty have made many flee their home countries to seek refuge, also in Denmark. We take care of people who need help and many stand ready to help them settle and create a new life in this, to them, very strange country. They have expectations of their new life – and we have expectations of them. Refugees need to understand the country they have arrived in: A country where not only the climate is completely different, but where the way of life and the customs are different and have a long history and deep roots. It is not easy to settle in a foreign country. It is hard work that requires good will and an open mind. Many new Danes have experienced this first-hand. They have worked with great determination to learn the Danish language and get to know Danish traditions. They have found jobs and they see to it that their children get a good start in life. They have gained a foothold here and feel at home in Denmark. They have become part of our community. They have good reason to be apprehensive of being affected by the scepticism that may arise when new large numbers of refugees stream into Denmark and when some find it difficult to find their place in Denmark; but they should not suffer if others do not make the same effort to become part of the Danish community. Exactly this aspect, to be part of the Danish community, is of great importance. It is not something that can be asked for, but it is something that comes almost unnoticeably little by little. It is there when “they” becomes “we” and “them” becomes “us” – the Danes, we Danes! What does it mean to be Danish? Do we need to be Danish? Does nationality play any role at all in modern industrialised global society? What a question to ask! After all, we are Danes; but we are also different. We have a different background, we have a different upbringing. We come from a big city, we come from a small community, but each and every one of us knows that we are Danish. This is part of our identity. Perhaps we feel it most strongly when we return to Denmark after a long journey: The signposting is in Danish – and the number plates – the weather? Well, but that is what we are used to. The language – indeed, it is an integral part of ourselves. We have listened to Danish and spoken it from childhood. It is the joy of recognition we experience. This, to the same extent as our habits and customs, is part of being Danish. Denmark is a small country where it is easy to get from one place to another. But we are also a society where people are very busy. The children go to school, both parents have a job, holiday plans must be made; it can be difficult to see even the neighbours next door – the other families living in flats in the same building, or those a bit further down the road, colleagues at work. We see ourselves as very friendly and outgoing people who find it easy to smile and make small talk. But we must not ignore the self-sufficiency which may also characterise us Danes. Let us make a New Year’s resolution for 2017! Let us try to see the people who surround us. Let us bear in mind also to notice those we do not know already. “How are things over there?” Is there a need for a helping hand, some care, or just a “good morning” by way of recognition, a nod to the person we are queuing with at the tills? We sometimes feel lonely, also in the hustle and bustle of our everyday lives. During my trips on board the Royal Yacht Dannebrog, I have visited very different parts of the country. There are places where the wheels are spinning, the business sector is flourishing, and everybody I encounter takes great pride in their work. There are other places where conditions are more difficult. It is clearly problematic for them to make ends meet and to keep up their spirits. Nevertheless, it is the smiles and the warm welcome I receive everywhere that I remember most clearly. Also where the problems may seem huge, there are people with fresh ideas, with entrepreneurial spirit; sometimes as an act of defiance. Here on the threshold of the New Year, optimism is gaining ground and the economy is growing. Now is the time that we need people with ideas and enterprise everywhere. Denmark cannot function without all those who make an effort in production. This applies to large as well as small manufacturing companies, and to the agricultural sector; and it applies to those who transport goods from one end of the country to another, and sell the goods to their customers, or to those who have a completely different function in our society. Job satisfaction is altogether fundamental to our everyday lives. It is job satisfaction that makes staff as well as managers make the extra effort; job satisfaction sets the wheels spinning and leads to the unified entity which is our well-functioning Danish society. Our society which we take pride in. This year the Olympic Games were held in Rio de Janeiro in Brazil. It was a great pleasure for me to meet with many of the participants, both from the Olympic Games and the Paralympic Games here in autumn after their return to Denmark. Their efforts were exemplary – and nerve-racking – and they are good role models for young as well as elderly people. Their fine results did us all proud. Aarhus has been designated as the European Capital of Culture 2017. This is a source of pleasure to us all. I have so many good memories from the time when I lived and studied in Aarhus – in my youth a great many years ago. The Crown Prince also studied in Aarhus and got his master’s there. We go there in summer as well as in winter and our family often celebrate Easter and Christmas in Aarhus. I wish to congratulate everybody in Aarhus and in the region on the task of Capital of Culture and I wish you good luck with the performance of this task – and I hope the rest of us will enjoy all the events in the coming year. I am looking forward to visiting Aarhus. The city has much to offer, also to the rest of the world. Also this year, Danes posted abroad have made a great effort. Many serve in distant places where they risk their lives and limbs in the fight for peace. They bring new hope to people who through no fault of their own have lost everything in bloody conflicts – their loved ones, their homes and their livelihood. Danish soldiers are training the Iraqi forces on the ground in Iraq, and in Afghanistan they continue to train the country’s own soldiers. The Crown Prince has visited our soldiers posted in Iraq and in Mali. There he had the opportunity to thank them in person for their great and effective efforts. The Air Force continues to be involved in the fight against terrorism in the Middle East where they make a very valuable contribution. It is very demanding for pilots as well as personnel on the ground. The Navy has headed the task of transporting the remains of Libya’s chemical weapons stockpiles from the country, a necessary and reassuring task which they have performed at the same time as they carry out their important task of sovereignty enforcement and maritime rescue service at sea in the North Atlantic and in all Danish waters. Tonight, I send my thank you to all of them, in Denmark, and wherever they serve throughout the world, for their good and professional effort and I wish each and every one of them a happy New Year. Throughout the world there are many people of Danish origin. They are well-integrated and many are nationals of the country in which they live, but they still feel Danish and they are good representatives of Danish values. I wish them a happy New Year, we are proud of them, here in their country of origin. Danes in South Schleswig constitute a special group of people living outside Denmark. Tonight, I send my warmest New Year greetings to them. It is always a great pleasure for me to see that so many associations, institutions and private homes uphold Danish culture, tradition and history. On this last evening of the year, I wish to send my greetings and thanks to the many professional people as well as the many volunteers who during the holiday season contribute to making Christmas and New Year festive, also for those who are on their own, while others are celebrating. I also wish to say thank you and send New Year greetings to all those who see to it that we are safe and secure in our everyday lives as well as on a festive evening like tonight. This applies to the Police and the Defence, the Danish Emergency Management Agency and those who are on duty tonight, at hospitals among others. It was a great pleasure for me to travel to the Faroe Islands again last summer. As always, it was a wonderful experience to receive the warm and friendly welcome of the Faroese people. I got a clear impression of the enterprise which the Faroese people demonstrate and of the ensuing results. It is clearly visible both in terms of business and trade and everywhere in the thriving cultural life of these beautiful islands. I send my warmest greetings and best wishes for a happy New Year to everybody in the Faroe Islands. Also this year we have experienced the increased interest in Greenland. The breath-taking nature of Greenland is impressive and attracts visitors from the entire world. Nature is Greenland’s unique treasure house; but Greenland lies exposed. Climate change is clearly felt, and increased international interest in the Arctic region makes many turn their attention to Greenland. I am very conscious of the challenge experienced by Greenland right now, and tonight I wish to send my very best wishes for the New Year to everybody in Greenland. In the year ahead, Prince Henrik and I can celebrate our golden wedding anniversary. We have decided to celebrate the occasion very quietly with our sons, daughters-in-law, and grandchildren. These 50 years have been full of tasks that have given us much joy and pleasure. We and our family always meet with a warm and caring reception. It fills us with gratitude. Also the Crown Prince and the Crown Princess and Prince Joachim and Princess Marie meet with this attention. They all add their greetings and best wishes together with Prince Henrik and me when I tonight wish you all a happy New Year with a thank you for the year that has come to an end. ‘Like so many older people have experienced before us, one rarely feels as old as the figure implies. For us, it’s a bit unreal’, said the king in his New Year speech, that, as tradition dictates, was broadcast on the last day of the year. 2016 has been a year characterised by hard fronts, and harsh rhetoric about immigration and in the ‘asylum’ field. In his speech, King Harald emphasised that people must want each other well as not wanting each other. ‘If we have good dreams for each other, if we want each other as well, then much magic can happen. It’s good for us to ensure that others may thrive. Both in the community of ours in Norway, and as world citizens’, said the king, who also maintained that knowledge of our cultural heritage helps make us more whole as human beings. I sommer hadde vi et helt spesielt tre i Slottsparken. Vi kalte det Ønsketreet. Der ble mennesker som besøkte parken invitert til å henge opp sine håp og ønsker for Norge og verden. Gjennom hele sommeren blafret folks ønsker i vinden. Stadig flere kom til. Grenene på det gamle treet hang tungt av håpene til barn og voksne, unge og eldre, nordmenn og utenlandske turister. For meg var det fint å se at mange av de ønskene som folket uttrykte falt godt sammen med mine egne håp og ønsker for landet vårt og fremtiden. 2016 ble et opplevelsesrikt år fylt av takknemlighet for oss. I anledning vårt 25-årsjubileum som kongepar opplevde vi norsk gjestfrihet og varme på sitt aller beste – gjennom møter med mennesker på jubileumsreisen langs kysten, og på de mange hagefestene som ble arrangert. Dronningen og jeg vil takke varmt for alle gode minner som er skapt gjennom dette spesielle året. Et av mine største ønsker er at vi skal kunne fortsette å møte hverandre i frihet, uten frykt og stengsler, uten gjerder som skaper avstand. Det er en av de viktigste verdiene i vårt norske, åpne samfunn. Det synes jeg var et klokt ønske. Mange opplever at det stilles så store krav til dem at de blir psykisk og fysisk utslitte. Men mitt inntrykk er at mange av kravene også stilles av oss selv. Vi sliter oss rett og slett ut ved å tenke på at vi ikke strekker til. Noe av det aller viktigste for oss mennesker tror jeg er å få føle at det er bruk for oss. Å få føle seg nyttig, å få utrette et godt dagsverk. Mange som opplever å stå utenfor arbeidslivet, kjenner seg nok igjen i dette. I år har vi markert 50-årsjubileet for funnet av olje på norsk sokkel – med all den velstanden det har skapt for Norge. Samtidig har mange nettopp innen denne næringen mistet jobben sin. Jeg er imponert over all den viljen til nytenkning og omstilling som jeg har sett og hørt om dette året. Et av mine ønsker er at vi skal klare å se og favne alle de menneskelige ressursene i landet vårt. At alle kan føle at de bidrar og kjenner seg nyttige – uavhengig av alder, kjønn, etnisitet eller funksjonsevne. Et annet ønske på treet var skrevet av en jente og en gutt sammen. «Jeg ønsker at vi gjør det trygt for kvinner å bo i Norge – og at vi må få slippe å be om dette flere ganger», sto det. Samfunnet vårt skal være trygt for alle. Spesielt må vi arbeide for at de mest sårbare og utsatte beskyttes best mulig. I 2015 vedtok verdens ledere de nye bærekraftmålene for å skape en bedre verden. Et av målene handler om å bekjempe vold mot kvinner og barn. På dette området erkjente Norge at vi må gjøre en ekstra innsats i vårt eget land. Skal vi klare å skape et trygt samfunn for alle, er det viktig at det blir satt ord på det som foregår, og at de som har mulighet til å hjelpe, er kloke lyttere med sterk handlekraft. I Oppland fylke hadde 4.-7. trinn på grunnskolene en oppgave der de skulle skrive brev til Kongen, som jeg senere fikk lese. En jente hadde skrevet i sitt brev til meg: «Det er viktig å holde på tradisjonene fra gammelt av, så de ikke blir pakket sammen og lagt i en støvete skuff». Et tre er et fint bilde på dette. Røttene er arv og tradisjoner. Treet over bakken utsettes stadig for påvirkning som krever vedlikehold gjennom skiftende årstider og livsstadier. Så lenge treet lever, graver røttene seg sakte dypere og dypere ned. I Norge er mange tradisjoner både religiøst og kulturelt betinget. Flere av dem er knyttet til julehøytiden vi akkurat har feiret. Fra i morgen – 1. januar 2017 – er Kirken formelt atskilt fra staten. Samtidig markerer vi at det er 500 år siden reformasjonen, som fikk stor betydning for hele samfunnsutviklingen. Det er viktig å være røttene våre bevisst – og gi nye generasjoner mulighet til å forstå referansene i kulturen vår. Det handler både om historie, religiøse tradisjoner og fortellinger, myter, eventyr, musikk og billedkunst. I enhver kultur, i ethvert land, er kjennskap til denne arven med på å gjøre oss helere som mennesker. Det er en rikdom som hjelper oss til å kjenne at vi hører til et sted og ikke lever i et vakuum. At vi har blitt påvirket og inspirert av de samme kildene som mennesker som har levd før oss. Dette opplevde vi da vi i fjor inviterte til flerreligiøst gjestebud på Slottet. Da vi delte tanker, kulturuttrykk og mat fra ulike religiøse skattkister, kom vi nærmere hverandre og forsto hverandre bedre. Det er mitt håp at vi også i en tid med stadig nye impulser utenfra gir plass til å gå inn i vårt eget skattkammer og gjøre innholdet levende, for oss selv og hverandre. Min erfaring er at ved å stå trygg i bevisstheten om egen arv, kan man lettere møte andre med et åpent sinn. Dronningen og jeg ble minnet om vår forankring under jubileumsgudstjenesten i Nidarosdomen 23. juni – som markerte at det var 25 år siden vi ble signet nettopp der. Det å få Guds velsignelse over gjerningen vår – og å få knele ned der hvor både min far og farfar tidligere hadde mottatt den samme velsignelsen, opplevdes som en stor styrke. Ungdom gir uttrykk for at de ønsker stabilitet, tilstedeværelse, ro og gode samtaler. Det har til alle tider vært utfordrende å være ungdom. Men jeg føler oppriktig med unge i dag som står overfor så mange flere valg og så mye mer ytre påvirkning og press enn det som var tilfellet for bare én til to generasjoner siden. Midt i dette er jeg dypt imponert over mange unge. Dere er forbilder for oss eldre som ikke har klart å engasjere oss nok i temaer som miljø og fordeling av godene. Mange av lappene på Ønsketreet – spesielt fra de yngste – uttrykker håp om mindre søppel og bedre klima. Den sosiale bevisstheten og samvittigheten jeg møter hos mange av dere som er unge i dag, gjør meg svært optimistisk med tanke på fremtiden. «Kanskje det. Men min drøm starter med deg.» Da ble gutten stille. Hvis vi har gode drømmer for hverandre, hvis vi vil hverandre vel – da kan mye magisk skje. Det er godt for oss å bidra til at andre kan ha det bra. Både i nærmiljøet vårt, i Norge og som verdensborgere. En spesiell takk vil jeg i kveld rette til alle dere som er i tjeneste utenfor landet – og som kanskje savner familie og nære venner akkurat i kveld. Takk for den innsatsen dere gjør gjennom diplomati og humanitære organisasjoner, gjennom politiet og forsvaret – for fred, stabilitet, helse og trygghet for medmennesker. Både Dronningen og jeg fyller 80 nå i dette året vi går inn i. For oss er det litt uvirkelig. Som så mange eldre har erfart før oss, føler man seg jo sjelden så gammel som tallet tilsier. Det gir oss stor glede å få møte så mange mennesker som gjør inntrykk på oss, som gir oss nye ideer, som gir oss bildet av det nye Norge – med sine muligheter og utfordringer. Mennesker vi håper og tror skal klare å bygge landet videre på verdier som tillit, fellesskap og raushet. Mennesker som vil prege samfunnet vårt med sine gode krefter og store kunnskap. Livet har lært meg at det som er viktigst for oss mennesker ikke forandres så veldig mye gjennom tidene. Vi trenger noen som bryr seg om oss. Vi trenger at det er bruk for oss. Vi trenger å bli sett – og anerkjent – for den vi er. Vi trenger at noen har tid til å lytte og være til stede. Vi trenger å kjenne at vi er til for noe og noen utover oss selv. At vi som deler denne jorden erkjenner at vi først og fremst er medmennesker. At vi klarer å samle oss om å arbeide for en sunnere verden. At vi velger å bekjempe ondt med godt. «At alle ønskene på treet må gå i oppfyllelse». Dans cet enregistrement vidéo, le souverain adresse ses vœux aux Monégasques et aux résidents de la Principauté. En trois minutes et vingt-deux secondes d’allocution, le prince Albert II évoque huit thèmes qui lui tiennent à cœur, huit messages forts, portant sur les attentats, la solidarité, l’économie; la sécurité, l’environnement, la lutte contre la corruption, les négociations avec l’Union européenne et la politique intérieure. His Majesty King Maha Vajiralongkorn Bodindradebayavarangkun expressed his well wishes to the Thai people on the occasion of the New Year and thanked them for their friendliness and support in his performance of duties. 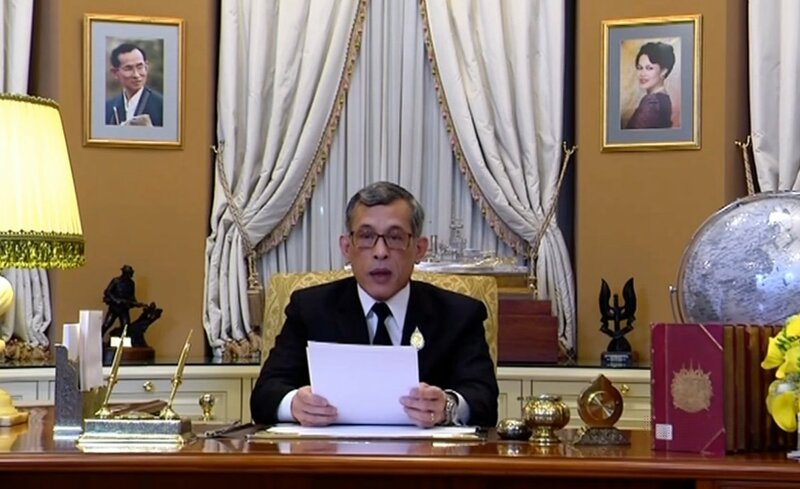 In his New Year’s message announced on Saturday, the King said that the passing of HM King Bhumibol Adulyadej in the past year was the biggest loss of Thais throughout the country and brought great sorrow for the Thai people. The King said he felt overwhelmed and impressed having seen the people of all genders and ages pay tribute to the late King to show their loyalty. 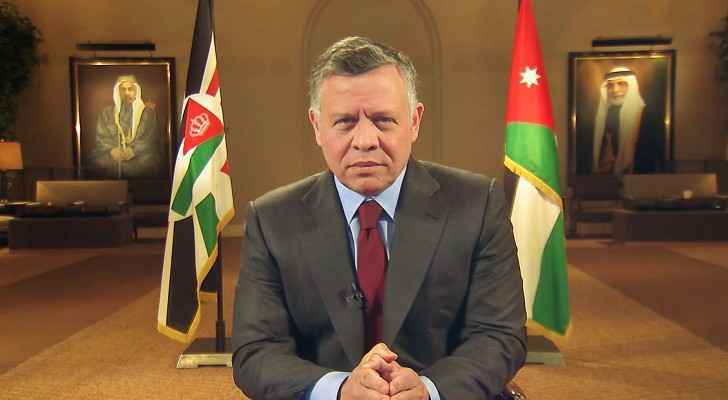 He thanked the people for their cooperation in making the funeral activities of the late King smooth. This is a clear indication that the Thai people are grateful, compassionate and patriotic which are the national characteristics, said the King, adding that he believes the Thai people are as capable as the people of any country and they will be able to overcome any national problems. The King said he wished the Thai people to be resolute in keeping this Thai characteristics and to carry on with the ideals and philosophy of the late King. Der Kaiserliche Hof veröffentlichte am 1. Januar 2017 das nachfolgende Video. Es zeigt die Mitglieder der Kaiserfamilie, jedoch ohne Tonspur: Kaiser Akihito, Kaiserin Michiko, ihre Söhne, Kronprinz Naruhito und Fumihito, Prinz Akishino und ihre Familien. In diesem Jahr wird erstmals keine Neujahrsbotschaft von Kaiser Akihito veröffentlicht. Die dazu herausgegebene Erklärung besagt, daß dies eine Maßnahme sei, die Arbeitsbelastung des 83-jährigen Kaisers zu verringern. 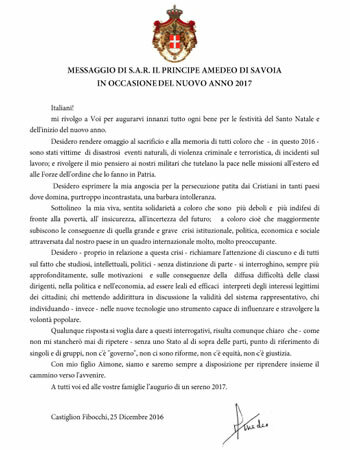 mi rivolgo a Voi per augurarvi innanzi tutto ogni bene per le festività del Santo Natale e dell’inizio del nuovo anno. Desidero rendere omaggio al sacrificio e alla memoria di tutti coloro che – in questo 2016 – sono stati vittime di disastrosi eventi naturali, di violenza criminale e terroristica, di incidenti sul lavoro; e rivolgere il mio pensiero ai nostri militari che tutelano la pace nelle missioni all’estero ed alle Forze dell’ordine che lo fanno in Patria. Desidero esprimere la mia angoscia per la persecuzione patita dai Cristiani in tanti paesi dove domina, purtroppo incontrastata, una barbara intolleranza. Sottolineo la mia viva, sentita solidarietà a coloro che sono più deboli e più indifesi di fronte alla povertà, all‘ insicurezza, all’incertezza del futuro; a coloro cioè che maggiormente subiscono le conseguenze di quella grande e grave crisi istituzionale, politica, economica e sociale attraversata dal nostro paese in un quadro internazionale molto, molto preoccupante. Desidero – proprio in relazione a questa crisi – richiamare l’attenzione di ciascuno e di tutti sul fatto che studiosi, intellettuali, politici – senza distinzione di parte – si interroghino, sempre più approfonditamente, sulle motivazioni e sulle conseguenze della diffusa difficoltà delle classi dirigenti, nella politica e nell’economia, ad essere leali ed efficaci interpreti degli interessi legittimi dei cittadini; chi mettendo addirittura in discussione la validità del sistema rappresentativo, chi individuando – invece – nelle nuove tecnologie uno strumento capace di influenzare e stravolgere la volontà popolare. Qualunque risposta si voglia dare a questi interrogativi, risulta comunque chiaro che – come non mi stancherò mai di ripetere – senza uno Stato al di sopra delle parti, punto di riferimento di singoli e di gruppi, non c’è „governo“, non ci sono riforme, non c’è equità, non c’è giustizia. Con mio figlio Aimone, siamo e saremo sempre a disposizione per riprendere insieme il cammino verso l’avvenire. A tutti voi ed alle vostre famiglie l’augurio di un sereno 2017. Die Corona-Redaktion wünscht jedenfalls allen Lesern ein gesegnetes Weihnachtsfest 2016 und ein frohes, gesundes und erfolgreiches Jahr 2017. Während das alte Europa weiterhin in der ökonomischen Krise und der Migrationskrise gefangen ist, leisteten die europäischen Königshäusern mit ihren Monarchen weitgehend ohne größere internationale Aufmerksamkeit ihren Dienst für ihre Länder. Königin Elisabeth II. vermittelte ihren Untertanen Stabilität und Kontinuität nach dem Brexitvotum im Juni und der Aufgeregtheit im Politikbetrieb danach, König Philippe I. der Belgier tat dasselbe während der Terroranschläge von Brüssel im März. Außerhalb Europas verstarb im Oktober der am längsten regierende Monarch der Welt, König Bhumibol von Thailand. Der Übergang der Krone an Kronprinz Vajiralongkorn, jetzt Rama X., verlief jedoch reibungslos. Der japanische Kaiser Akihito verkündete seinen Wunsch nach Abdankung zugunsten seines Sohnes Naruhito, jedoch bedarf dies einer Gesetzesänderung und diese steht bislang noch aus. In der Reihe der Thronprätendenten erkrankte der hochbetagte König Michael I. von Rumänien, dessen Gattin im August verstarb und ein Staatsbegräbnis erhielt, außerdem an Blutkrebs und die Verantwortlichkeit für die Tätigkeiten des rumänischen Königshauses ging formell auf Kronprinzessin Margareta über. Zu den Höhepunkten von 2016 zählt die Hochzeit von Kronprinz Leka II. von Albanien und Elia Zaharia am 7. Oktober in der albanischen Hauptstadt Tirana, an der auch Prinz Georg Friedrich von Preußen teilnahm (im Hochzeitsphoto oberste Reihe mit der orangenen Schärpe des Schwarze Adlerordens). In Österreich jährte sich der 100. Todestag Kaiser Franz Josefs I. und in Deutschland der 75. Todestag Kaiser Wilhelms II. Öffentliche Aufmerksamkeit wurde dabei nur Franz Josef zuteil. Kronprinz Georg Friedrich von Preußen und seine Frau bekamen ihr viertes Kind, einen Sohn, der auf den Namen Heinrich Albert Johann Georg hört. Solche Ereignisse werden jetzt immerhin mit einiger Regelmäßigkeit von den Medien registriert. Zahlenmäßig stagnierte die Corona-Leserschaft im Bereich des Newsletters. Auf Facebook konnte eine Steigerung registriert werden und dort kommt Corona jetzt auf rund 890 Verfolger. Der Corona-Blog konnte seine Leserschaft wie in den Jahren zuvor ebenfalls steigern, und zwar um rund 50 Leser am Tag auf jahresdurchschnittlich 379 täglich. Trotz dieser erfreulichen Zahlen ist Mithilfe in Form von Kritik, Beiträgen, Kommentaren und ähnlichem natürlich weiter gewünscht und erforderlich, um unsere Anliegen einer breiteren Masse bekanntmachen zu können. Was ist aber für 2017 zu erwarten? Die russische Revolution jährt sich zum einhundertsten Mal und man darf gespannt sein, wie Rußland damit umgehen wird, da Präsident Putin in den vergan-genen Jahren eine Kontinuität sowohl zum Zarenreich als auch zum kommunistischen Reich herstellte, ohne dabei eindeutig zu sein. Im Jubiläumsjahr der Reformation werden außerdem die Monarchen der mehrheitlich protestantischen europäischen Länder in Wittenberg erwartet. In Deutschland wird neben den Bundestagswahlen von den Parteien im Februar 2017 via Bundesversammlung auch ein neuer Bundespräsident ernannt. Amtsinhaber Gauck hat angekündigt, nicht mehr anzutreten. Besser dürfte es jedoch kaum werden, aber auch von monarchistischer Seite ist nicht zu erwarten, daß etwas gegen die Alternativlosigkeit eines grauen, von den Parteien im Konsens und meist gegen den Volkswillen bestimmten Kandidaten getan wird. Die Phase der Krise und des Umbruchs, die Europa derzeit durchschreitet, dürfte daher zumindest hierzulande nicht genutzt werden, um wirkliche Veränderungen im monarchistischen Sinne zu erreichen, doch lassen wir uns bezüglich 2017 auch gerne eines Besseren belehren lassen. Wer Falschmeldungen verbreitet, müsse sich dafür verantworten, fordern die SPD-Politiker Heiko Maas und Martin Schulz. Geld- oder sogar Gefängnisstrafen seien denkbar (Die Zeit, 18. Dezember 2016). Vorbei sind die Zeiten, als im Internet die frohen Zustände der Teilnahme aller an allem gefeiert wurden. Skeptiker sahen bereits früh die ungehemmte Lust zum Schimpfen und Schmähen heraufziehen, doch sie galten als die Ewiggestrigen, die nicht an die Schwarmintelligenz glauben mochten. „Verleumdung und üble Nachrede sind nicht von der Meinungsfreiheit gedeckt“, erklärt Justizminister Heiko Maas. Bei übler Nachrede und Verleumdung einer Person des öffentlichen Lebens drohten bis zu fünf Jahre Freiheitsstrafe. Schade, daß in Monarchien früher keine so beherzten Justizminister amtierten. Der Beispiele gäbe es zuhauf zu nennen, hier seien nur die eklatantesten aufgeführt, die nach Justizminister Maas mit Gefängnis geahndet werden sollten. Die französische Königin Marie Antoinette hätte sich gegen die Verunglimpfungen besser wehren sollen, als den ganzen Schmutz und Schund geduldig zu ertragen. Nicht nur die Halsbandaffaire hängte man ihr an, auch der Satz: „Sollen sie doch Kuchen essen“, klebt an ihr, obwohl sie ihn nachweislich nicht sagte. In pornographischen Flugblättern wurde ihr Ansehen untergraben. Selbst Inzest mit ihren Kindern wurde ihr unterstellt. Die für Deutschland folgenschwerste Fakenews verbreitete am 9. November 1918 der Sozialdemokrat Philipp Scheidemann, als er verkündete: „Der Kaiser hat abgedankt.“ Diese Behauptung war durch nichts gedeckt und nahm entscheidenden Einfluß auf die Politik, Zuvor hatten ab 1916 in Bayern Falschmeldungen das Ansehen König Ludwigs III. untergraben. Er, der zum Beispiel die Milch seiner eigenen Bauernhöfe in die Stadt schaffen und kostenlos verteilen ließ, wurde beschuldigt, diese teuer in den Norden zu verkaufen. Er sei Kriegsgewinnler, behaupteten böswillige Lügner. Anonyme Flugblätter während des Kriegs legten auf Wahrheit keinen Wert. Sie unterhöhlten, wie von den Autoren gewünscht, die monarchische Staatsform und bereiteten den Umsturz vor. Damals wie heute stellt sich aber die Frage, wie gegen Falschmeldungen vorzugehen ist. Selbst eine Zensur – wie zu Zeiten des Weltkriegs in allen Staaten üblich – konnte Lügen und Erfindungen nicht stoppen. Auch in der BRD wird es unter völlig anderen Umständen nicht einfach sein, Autoren unliebsamer Meldungen mit Prozessen von ihrem Tun abzuhalten. Es müßte ja in jedem Einzelfall immer eine Lüge nachgewiesen werden. Die Justiz und die Rechtsanwälte werden sich über das Arbeitsbeschaffungsprogramm freuen. Analog dem Maas’schen Strafkatalog könnte diese Erfahrung gezogen werden: Wer in einer Monarchie Verleumdungen unters Volk streut, wird mit Republik nicht unter 100 Jahren bestraft. H.S. Nach dem Tod von Kaiser Franz Joseph I. am 21. November 1916 war Karl (1887-1922) de facto Kaiser von Österreich und König von Ungarn, wo die formelle Krönungszeremonie am 30. 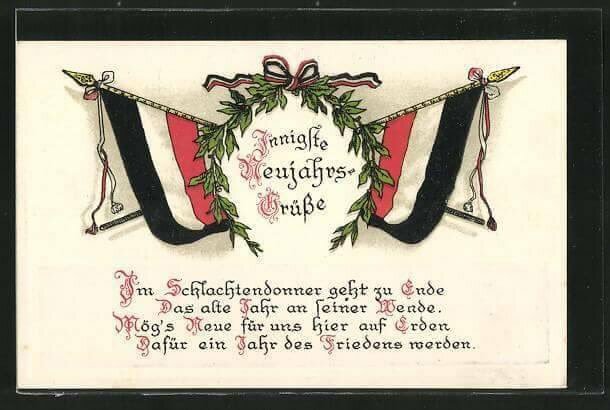 Dezember 1916 stattfand. Bei seiner Geburt hätte wohl niemand vorhersehen können, daß dieser Prinz einmal den Thron besteigen würde, doch das Ableben von Erzherzog Rudolph und die Ermordung von Erzherzog Franz Ferdinand ließen letztlich Karl mit nur 29 Jahren zum Staatsoberhaupt der k.u.k.-Monarchie werden. 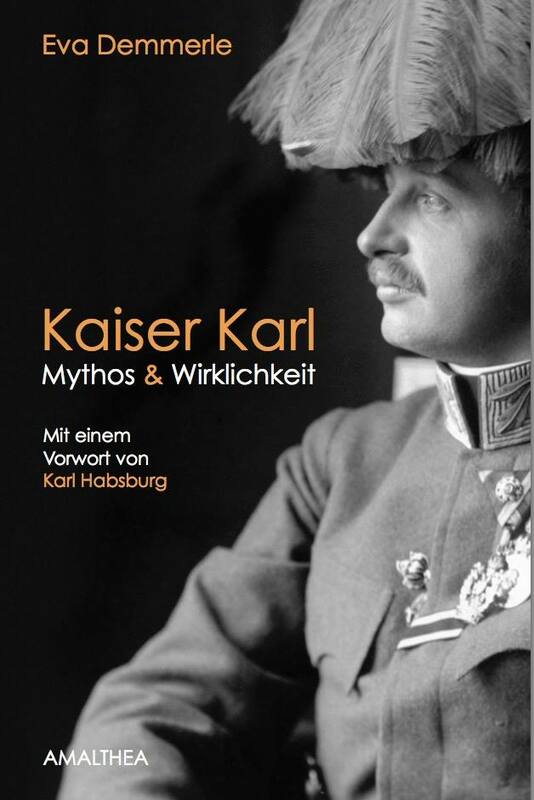 Unvorbereitet ging der junge Kaiser dennoch nicht in die Verantwortung, denn er war wie der deutsche Kronprinz Wilhelm im Weltkrieg General, kannte die Not der Truppen und hatte einen Verständigungsfrieden und eine Verständigung zwischen den Völkern seines Reichs auf der Agenda. Auch suchte der Kaiser den sozialen Ausgleich für alle seine Völker und orientierte sich dabei an den Sozialreformen des Deutschen Reichs. Die zunehmende Schwäche, die Österreich-Ungarn offenbarte, machte es jedoch schwierig, diese Vorhaben durchzusetzen, obwohl es entsprechende Initiativen gab, die außenpolitisch jedoch am Widerstand der Entente und innenpolitisch größtenteils an den Ungarn scheiterten. Wie ein Habsburgerreich nach einem Sieg- oder Verständigungsfrieden hätte aussehen können, ist in der Tat schwer zu sagen. Ein Deutsches Reich, welches an der Spitze des technischen und sozialen Fortschritts stand und die k.u.k.-Monarchie, die für die aus Staatsraison für die Verständigung der Völker eintreten mußte – es hat nicht sollen sein. Stattdessen wird Wilhelm II. bis in heutige Tage von interessierter Stelle und in einer ahistorischen Sichtweise dämonisiert, während Karl zur tragischen Figur wurde. Der österreichische Kaiser verzichtete am 11. November 1918 in Österreich und am 13. November in Ungarn auf Teilnahme an den Regierungsgeschäften und verstarb nach einigen gescheiterten Restaurationsversuchen in Ungarn im portugiesischen Exil auf Madeira. Seine Gattin, Kaiserin Zita, sollte dagegen das hohe Alter von 97 Jahren erreichen und das Andenken des Kaisers aufrechterhalten. Von der katholischen Kirche wurde er am 3. Oktober 2004 für seine Friedensbemühungen seliggesprochen. Speziell zum 100. Todestag Kaiser Franz Josephs I. versammelten sich in Wien viele hundert Menschen und im Stephansdom, wo eine Gedenkmesse gelesen wurde, erklang auch die alte Kaiserhymne. Auch an anderen Orten in Österreich wurden Gedenkmessen gehalten. In Budapest wurde im Beisein der Erzherzöge Karl und Georg und des ungarischen Vizeregierungschefs eine Büste Karls I. (in Ungarn: König Karl IV.) enthüllt. Allein die Staatsführung des Kunstkonstruktes „Republik Österreich” hält wahrscheinlich aus Angst um die eigene Existenzberechtigung an ihrer Aversion gegen die Habsburger fest: Der Nachlaß des 2011 verstorbenen Erzherzogs Otto geht nach Ungarn, weil ihn die Verantwortlichen in Österreich nicht haben wollten. Stattdessen soll in der Hofburg ein Haus der Geschichte entstehen, wobei man dazu wissen muß, daß Geschichte nach Definition der Verantwortlichen erst 1848 losgeht. Man könnte den Eindruck bekommen, daß die ehemaligen osteuropäischen Kronländer der Donaumonarchie, die bis 1918 angeblich in einem „Völkerkerker” gefangen waren, heute die größeren Freunde Habsburgs sind. L.R. Königin Elizabeth II. ist Staatsoberhaupt von 16 Commonwealthländern. Viele davon liegen in der Karibik und erhielten im November königlichen Besuch: Antigua und Barbuda, Grenada, St Kitts und Nevis, St Lucia, sowie St Vincent und die Grenadinen sind loyale Untertanen Ihrer Majestät. Zuletzt haben das die Bewohner von St Vincent und den Grenadinen in einem Referendum bestätigt. Im Oktober 2009 sagten 55,64% Nein zu einer Republik. In diesem Jahr feiern etliche von ihnen ihre Unabhängigkeitserklärung. Der Enkel der Königin, Prinz Heinrich (Harry), ist seit fast zwei Wochen eifrig dabei, die Krone in der Karibik zu repräsentieren. Zur Zeit befindet er sich auf seiner letzten Station, in der Republik Guyana. Diese ehemalige Kolonie in Südamerika wurde der Krone untreu und jetzt beklagen die Bewohner, daß sich erst nach zwölf Jahren wieder ein Mitglied der Königsfamilie aufmachte zu einem Besuch des Landes. Zuvor feierte er mit der Bevölkerung von Antigua & Barbuda 35 Jahre Selbständigkeit und mit Barbados den 50. Unabhängigkeitstag. 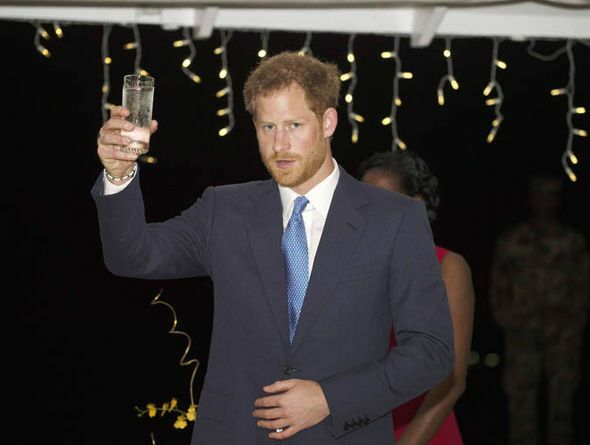 Erhebt sein Glas auf die Insel Barbados: Prinz Heinrich (Harry) als Vertreter der Königin von Barbados. Als Repräsentant der Königin des Landes, verlas Prinz Harry die Botschaft der Monarchin zum Unabhängigkeitstag. Darin lobte Königin Elizabeth nicht nur die Erfolge der letzten 50 Jahre, sondern bedankt sich auch für die herzliche Aufnahme ihrer selbst und anderer Mitglieder der Königsfamilie, wann immer sie in Barbados Station machten. H.S.